B. Market drivers—military needs, technical obsolescence, budget constraints, etc. B. Contracting Methods 1. Advertised procurement 2. Negotiated procurement 3. Types of contracts—fixed price, CPIF, CPAF, etc. 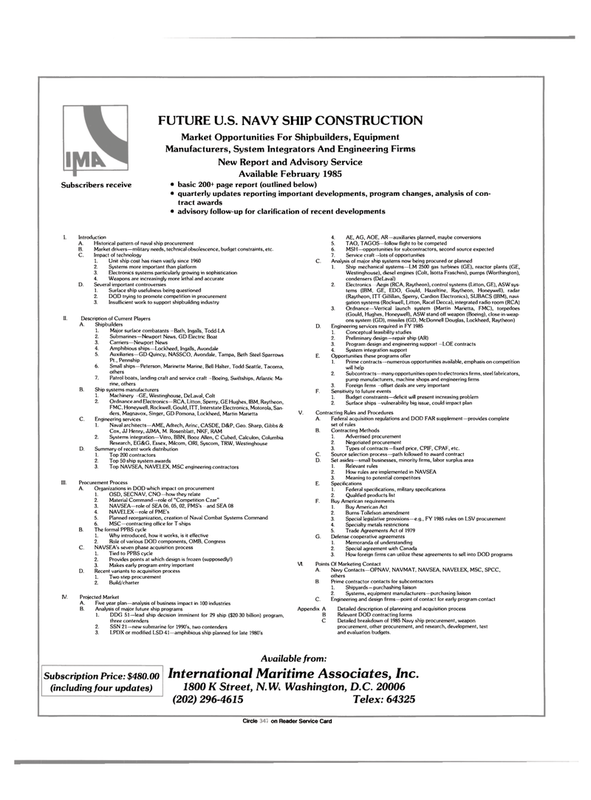 C Detailed breakdown of 1985 Navy ship procurement, weapon procurement, other procurement, and research, development, test and evaluation budgets.